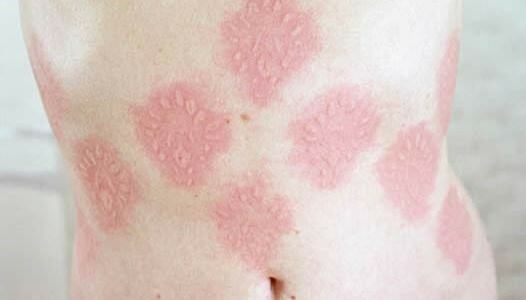 Dermographia is skin reaction that develops pale purple or red marks which is termed as wheals or welt. 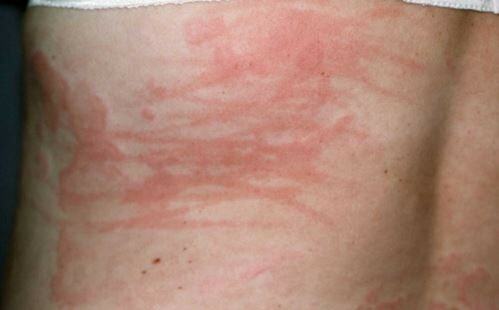 This occurs when individual scratch or rub the skin. The term dermographia is obtained from Latin words ‘Dermo’ means skin and ‘graphy’ means writing. 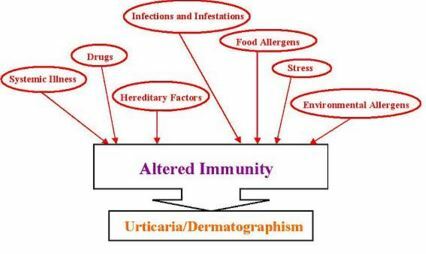 The synonyms of dermographia are “skin writing” or dermatographic urticaria. This is not a harmful, but produce discomfort, as they produce skin itching. Usually the marks is not long lasting, it stay in the body surface for a few minutes and extends up to hours or days in severe cases. Till now no medical treatment is available for complete cure, but it is manageable by taking some restricted lifestyle and anti-allergic drugs. 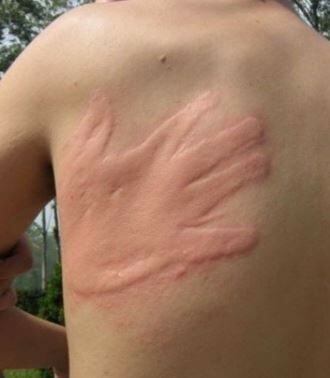 In dermographia, skin becomes excessively sensitive. Light scratch by nail or even touch can create weal or hives immediately. The onset of weal or hives development takes only a few minutes with deep pain which is instantly disappear after the formation of complete weal or hives. The sufferer often complaining superficial rubbing also causes dilation of the blood vessels present under the skin surface and which become a wheal. Initially the inflammation pursues at the lining of the scratch and prepared a border line. The usual time for the duration of the rashes is 30 minutes. Another phase of dermographia called delayed dermatographism in which symptoms are long lasting and wheals can stay for a day long or more. In comparison with the surrounding skin, the affected part is elevated. Colour variation ranges from pale purple to blazing red in colour. The proper causative factor is not yet discovered. It is similar like other skin allergy and it is suspected that it occurs due to allergic reaction. Causative allergen has not been identified. 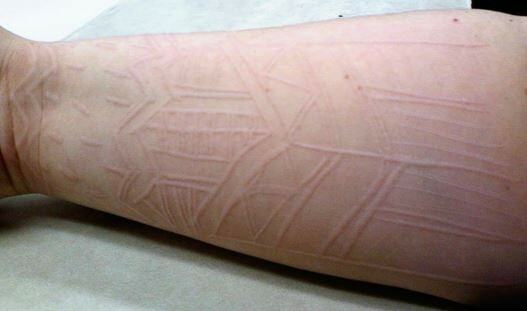 Simple rubbing or nail scratching, even sometimes crossing of legs can cause dermatographia. It has been found that side effect of antibiotics, especially penicillin is reported as a causative factor for any individual. Skin infection or infective organism can provoke the conditions. 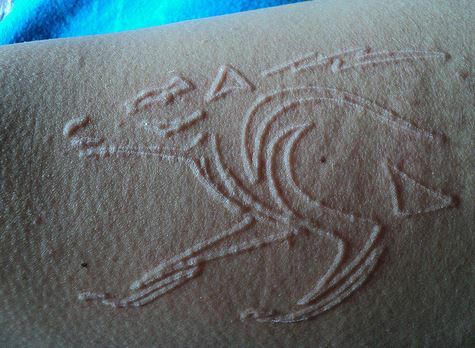 Distress due to emotional events also causes dermatographia. The individual may sensitive with clothes. Anti allergic drugs usually provides for symptomatic relief. This is incurable condition and implementation of any triggering condition causes recurrence of the incidence. Dermatographia cannot be solved by taking ultraviolet ray. Usually no treatment is required as the dermatographia control naturally. Following medicines are used for symptomatic relief. Antihistamines or anti allergic drugs like cetirizine, diphenhydramine or fexofenadine. These are the generic names of the anti allergic drugs. Different brand names under these generic names are available in the pharmacy stores like Zyrtec, Benadryl and Allegra. The usual side effect of these drugs is dizziness. It is advisable do not drive after taking these medicines. Steroidal drugs include predisone, hydrocortisone are also prescribed to control the inflammation, but prolong use is having side effects like osteoporosis. IgE blocking shots are also recommended for severe cases. Dermatographia cannot cure, but following measures can help to manage the condition and also the frequency of incidence can be lessened. Keep away from known general allergens which include dust, pollen, fur, mold, and insect stings. Avoid touching and scratching of skin. If itching occurs, then local application of light cold compression or running cold water can help to manage the itchiness. It is suggested that avoid heavy makeup. Use cosmetics for which are made with natural ingredients as they are less harmful. Coconut oil acts as natural moisturizing agent. And almond oil also has great benefits over skin as it is a rich source of vitamin E.
Stay stress free. Meditation, laughter, storybook reading, writing poem is the helpful tips to rid of the mental stress.